This was supposed to be a trip entitled “Don’t tell my aunts I climbed Mt. Kinabalu”. My high school classmates and I have been chatting about going on a climbing trip before arthritis hits us. Before the New Year started, two of them invited the batch to a trip to Kota Kinabalu which includes climbing Mt. Kinabalu. I was unsure if I could climb the mountain but I booked the trip anyway as soon as I saw a promo fare being offered. My cousin booked also. Another friend booked later after several annoying reminders from me. We had 5 months to prepare for the trip. We had this impression that it is easy to climb Mt Kinabalu. It is just a 6-hour trek to the base camp where there is decent lodging. We do not have to pitch in a tent and cook our own meals. We could hire a porter to carry our bags. No sweat. However, one of the classmates who is going to this trip with us, went on a 6-hour trek in Brunei and she shared that a 6-hour trek is not joke. She was the most athletic of the group and she did not think the climb is easy so we postponed the climb- not on this trip. It is still on the bucket list though. 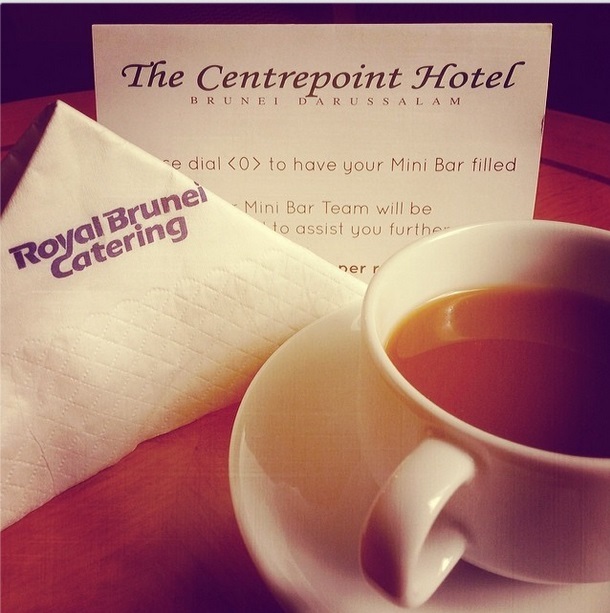 Because we have 5 days for this trip, we thought we might visit Brunei as well. We hit two countries in one trip. We spent two days traveling to and from Brunei that I did not feel like we have done a lot on this trip. Nevertheless, it was a memorable trip. 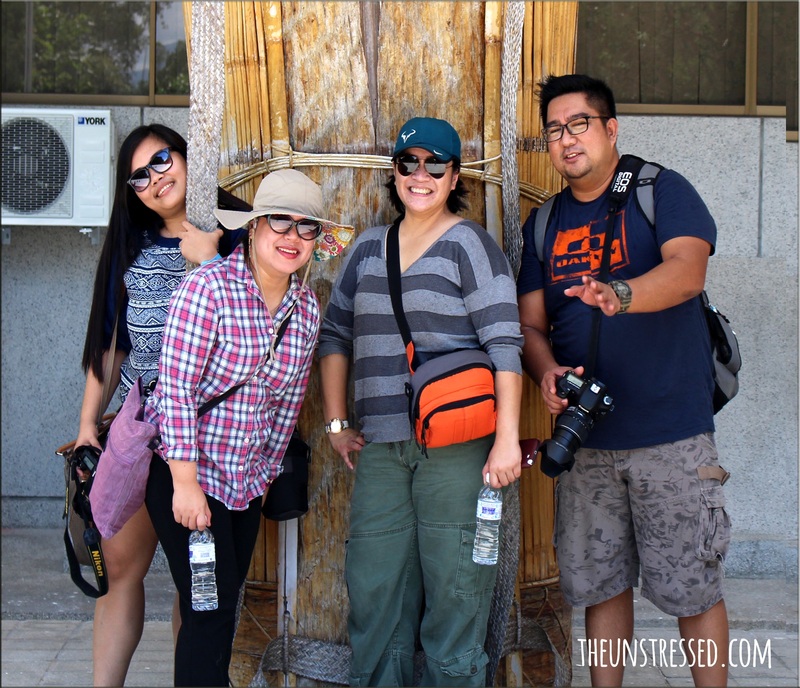 This is the kind of trip that we did not get stressed about the number of sights to see or activities we to do. 1. Relaxing vacation. We arrived at around 130AM in Kota Kinabalu and we were able to doze off at 3AM. I slept well. The hotel was nice and clean. I recommend Hotel Eden54. It rained on Day2 so even if we woke up early and had our breakfast early, we went back to the hotel and waited for the rain to stop. So I slept. Oh, we also ate the brownies my friend baked which she brought from Brunei. 2. Tagalog. There were many Tagalog-speaking people. The people in Kota Kinabalu are warm and friendly. I think they can spot Filipinos a mile away for we were often greeted in Tagalog. 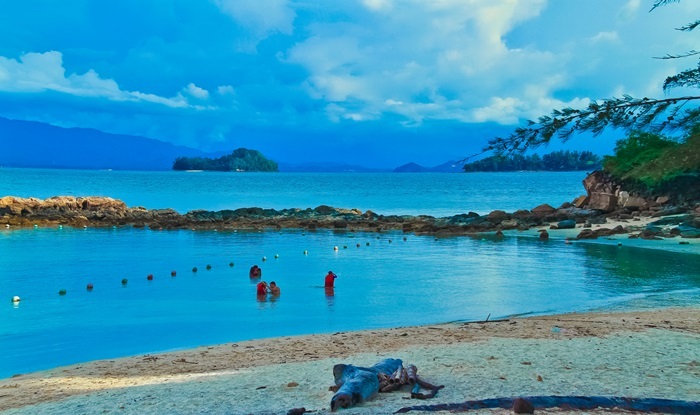 Geographically, Kota Kinabalu is in Sabah which is just south of Mindanao, Philippines. There are many Filipinos who migrated in this part of Malaysia. Still, I still get pleasantly surprised when Malaysians speak Tagalog to me especially when I have switched my brain to speak in English. 3. Food. My friend treated us to a vegetarian meal at Beyond Veggie. 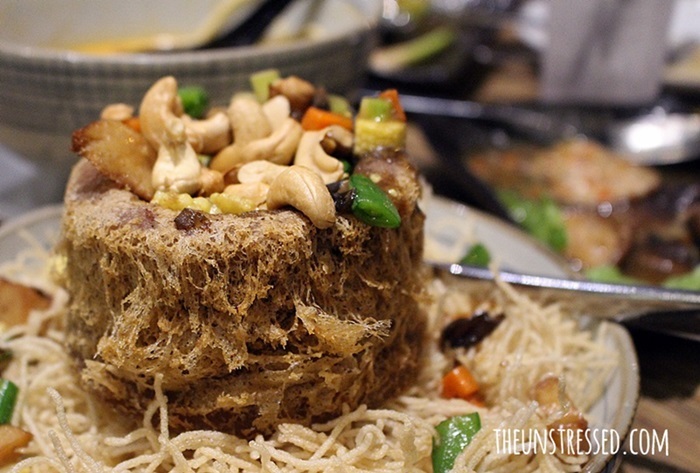 Who would have thought tofu can be this delicious? 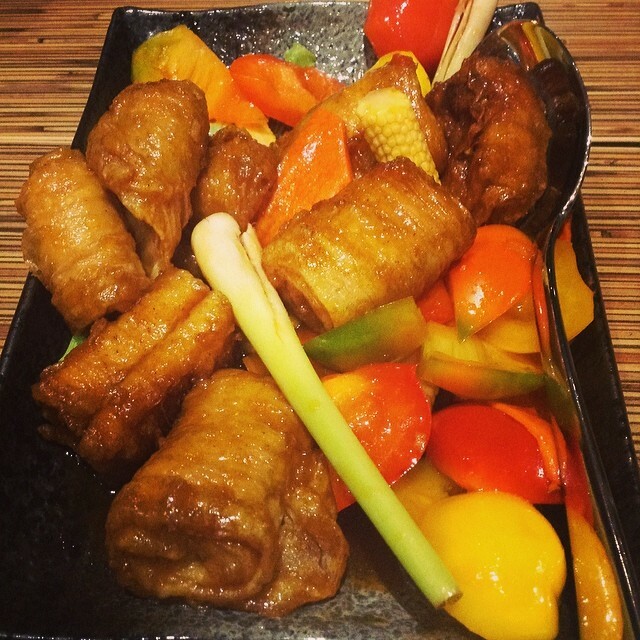 I am a meat-eater yet I love this dish. This is what I ordered. It arrived when I was already full from tasting what others ordered. This is a taro dish and I am sorry I was not able to finish it. We love our breakfast at Old Town. 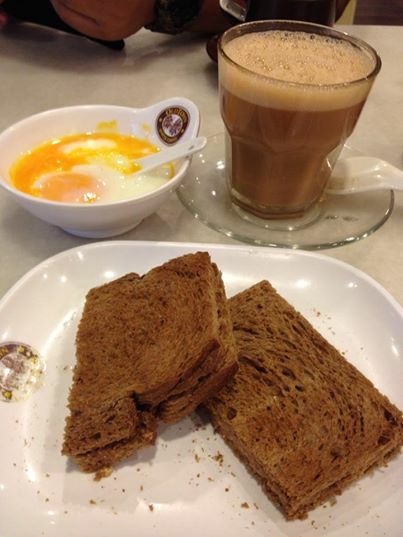 Below are kaya and peanut butter toast, soft boiled eggs and coffee. Photo by my friend, Imma. My friend’s husband let us try Kopi Luwak. Kopi Luwak is made from coffee beans passed on by a civet cat. Yes, the coffee beans passed through the civet’s digestive system. The beans that were excreted were processed and the end product is Kopi Luwak. It is an expensive coffee so buying a bag is out the question for me. I just want to try what it tastes like. It still tasted like coffee to me with a hint of nuttiness. The difference is in the after-effect. I slept at 1 AM. Good thing I woke up early. We were leaving Brunei that day. My friend’s brownies are too die for! She baked salted caramel brownies for us which we brought to the beach. On day 2, it rained and we were stuck in the hotel, it was my comfort food. I was saving the last piece for later time but my friend Imma beat me to eating it. Huhuhu! Follow my friend on instagram via Abbyzzoven. She is so good that a real princess orders from her. Too bad she lives in Brunei. 4. Sights and Activities. We did not visit a lot of places because of the weather but my cousin took awesome photos so I will just share them here. We went island hopping in Tunku Abdul Rahman Marine Park. But we called it an ‘island hop’. We only visited one island because we went there in the afternoon. 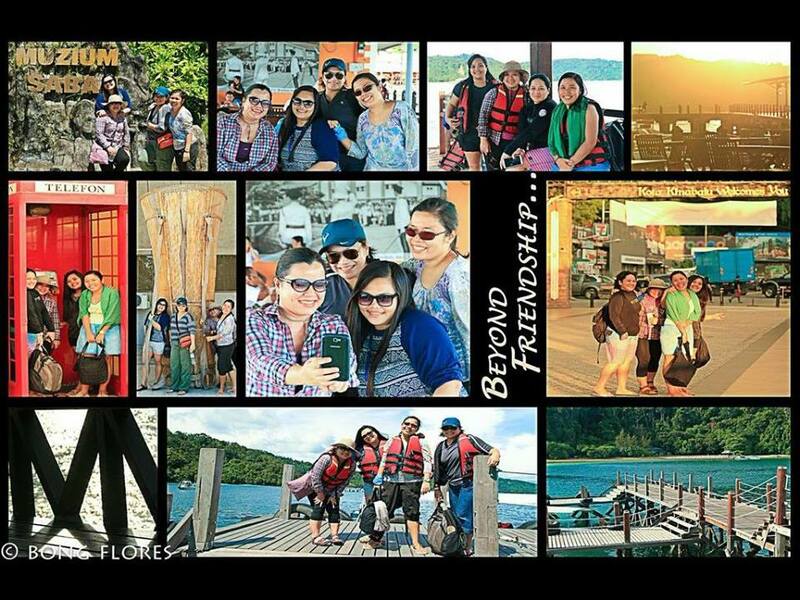 We visited Sapi island. 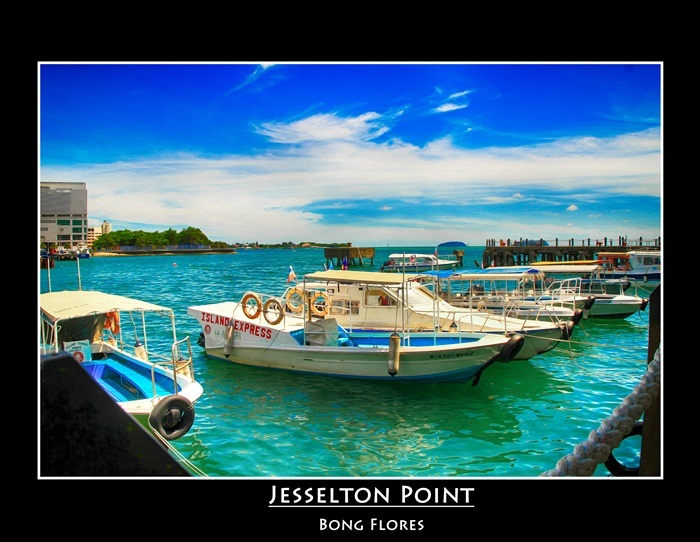 To get to the island, we need to get to Jesselton Point which is a walking distance from the hotel. 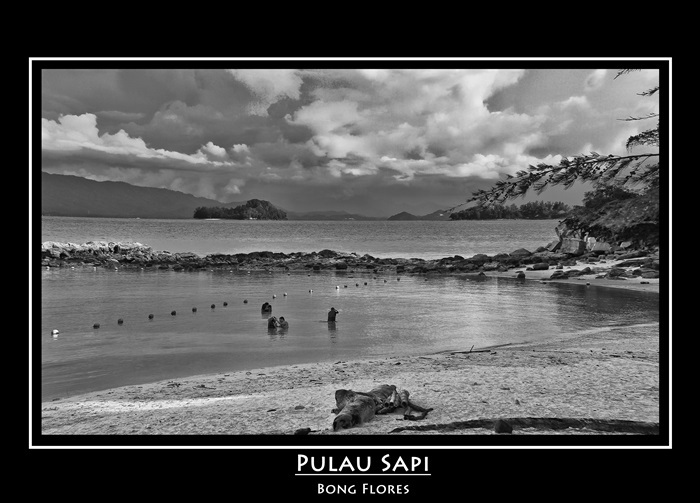 This is the Sapi Island in color. Stunning. We only had one day in Brunei. 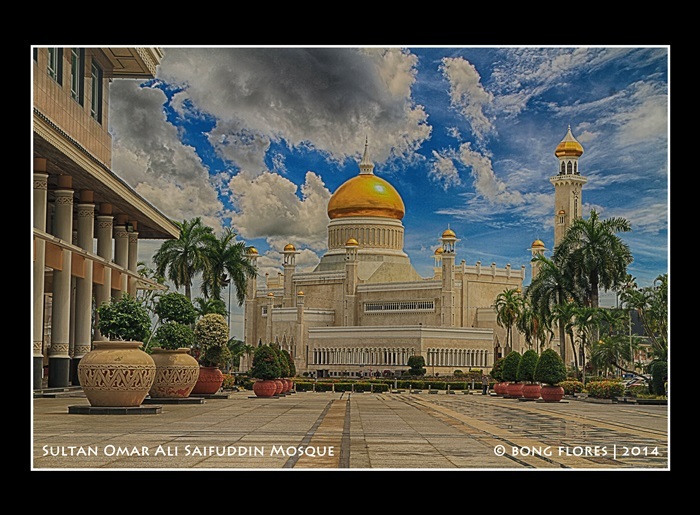 My cousin took this shot of the Sultan Omar Ali Saifuddin Mosque. 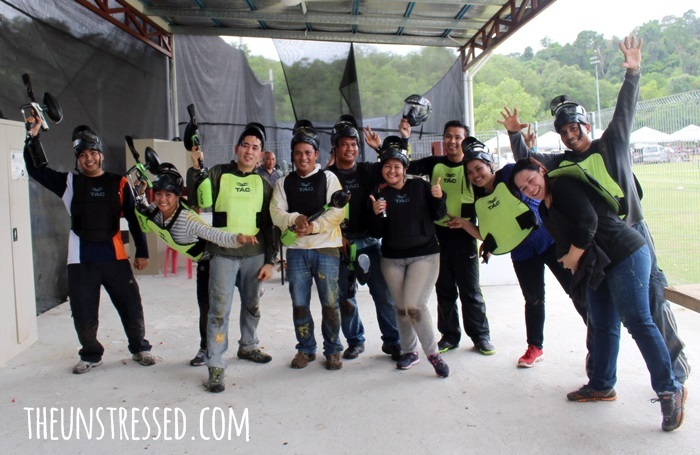 And friends played paintball with some Filipinos (and a Malaysian) in Brunei. 5. Hotel. We love Hotel Eden54! The rates are affordable. The rooms are clean. The people are nice. Since we were traveling to Brunei, we left some of our things there because we would be taking the Kota Kinabalu-Manila fight home. They allowed us to stay in their receiving area when we came back from Brunei and offered that we can take a shower in their bathroom. We even unpacked and packed our things there. Imagine our clothes and what-nots sprawled over the place like our own home! 6. Accessibility. Everything is so near in Kota Kinabalu. The ferry terminal is just a block away from the hotel. Suria Mall is also a block away from the hotel. We easily took the ferry to and from Brunei. In Brunei, my friend drove us around since it is difficult to get around Brunei in a taxi. I do not even remember seeing one. My friend said that there are as many people as cars in Brunei. 7. Duty Free Freebies. There is a duty-free shop in the Labuan Terminal. Labuan is the port town in Malaysia where we took the ferry to Brunei. When we came back from Brunei, we bought chocolates there. A lot of chocolates that are on sale were about to expire in July. I bought 6 Cadbury chocolates of different sizes which are packed as one on sale. My friends bought more. When we paid for the chocolates, the Filipino staff gave us toblerones and boxes of pralines. I got one large dark chocolate Toblerone and 3 boxes of pralines. My friends got more since they bought more. The catch: the chocolates they gave for free were about to expire that week which is fine by me. Chocolates do not last for more than a week in my house. 8. Immigration. While filling up the immigration form in Manila, my cousin got too excited of the trip to Kota Kinabalu. In the country of destination, he was starting to fill up the boxes. He wrote the letter ‘K’ on the first box and started counting the spaces. He complained to me, ‘Ate, di kasya.‘ ( The letters won’t fit in the boxes provided.) To which I replied, ‘Kuya, country.” He quickly realized his mistake. I love that I do not have to fill up forms in Malaysia. You just have to show your passport and all they ask of you is to put your forefingers on the scanner. In Brunei, it was a different story. When we arrived at the immigration area, we went to the side to fill up the form. We were careful about what to write and thoroughly checking our forms. Halfway through filling up the form, an immigration officer came to us and exclaimed, “You, Filipinos, are wasting my time. What are you still doing there?”. We replied that we are filling up the forms. 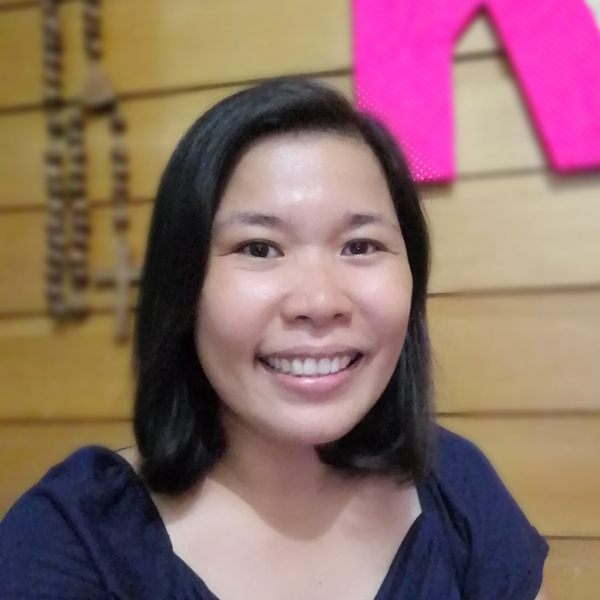 She asked, “Why didn’t you fill that up in the boat?” “They did not give us the forms.” “Why didn’t you ask for the forms?” My friend, who is a Brunei resident for 14 years already, was speechless. We quickly filled up our forms. While being interviewed by the immigration officer, we asked to show them our money. I have not experienced such ‘request’ in other countries like Malaysia, Singapore, Hong Kong and Macau. The officers asked us to count our money in front of them. It is now a running joke in our group that if we go to Brunei next time, we will bring money in $1 denomination so that when they ask us to count the money, we will waste more of their time. 😀 Kidding aside, we can only reflect on what happened. Taking the ferry is not a common route for tourists. Aside from two Chinese before us, we were the only foreigners in that ferry. There may be prior incidents of illegal immigrants taking that route. We should have asked to talk to the supervisor and report the incident. That was really rude for the officer to snap at us. We are not wasting her time since she is paid to do that job. 9. Laughter. We survived rain, grumpy immigration officer and long boat rides through laughter. We laugh at ourselves and at each other. We rib at each other over our obsessions: a friend got excited at Pandora and another one went on a ‘shopping spree’ at Rip Curl. I laughed at my cousin’s mishap on the speedboat and for forgetting our hotel room number. 10. Friends. This trip was a mini-reunion for us high school classmates, two of whom I have not seen in 20 years. A lot has changed yet we still get along like nothing has changed. We updated each other about our lives. We reminisced high school memories. I also have to commend my cousin for getting along well with my friends. They got along well that you would think they have been friends for a long time. If budget is not a problem, I will not hesitate to travel again with this group. What nice trip! Chocolates for free that is great! Some said that even the chocolates are already expired, it is still good for a month or more. May palugit pa.
That is what I heard also! With the ongoing promos of airline companies, traveling these days very practical. Did you manage to visit a castle there? I saw it in one of the magazine shows aired. Ang saya-saya lang! Sayang, I loved your original title. I don’t think I would be able to climb any mountain. Never been athletic at all! And all the photos look soooo nice; they make me want to book a trip to KK, Malaysia and Brunei. Finally, ugh, those brownies!!! looks like you had a truly amazing trip! It’s just nice that you’re still able to bond with your HS friends and share a good laugh. You had a memorable trip indeed 🙂 Free chocolates is love kahit pa expired. I think okay pa naman sya since nasa cold storage naman sya e. Kaloka ang immigration officer na yun ha, pero mainam na di na din sya patulan hehe. 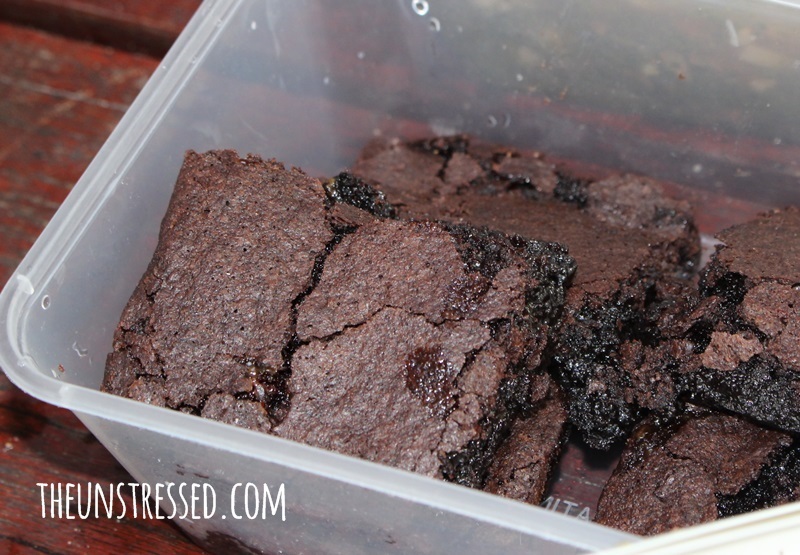 to die for ang brownies.. itsura pa lang…. That was a fun adventure, I love Malaysian food. I wish I can visit there sometime. Cool trip and great adventure you had with friends. I haven’t been to Brunei before..seems like a great place to visit. In the grocery, I think it was around RM800++ (Php 10,800) for a pack. I forgot the size of the pack– a big one. Probably, 300 to 500 grams. My friend’s luwak was placed in a can. I did not ask how much it was. KK and BD in one travel? Inggit ako. I have a pending invite from my former officemate in Brunei pero di pa rin natutupad. Australia with love for 3 months? Mas nakakainggit yan! Enjoy your vacay! Enjoyment and at the same time full of memorable days traveling to this places, especially if your traveling with friends and families! Great story ! Makes me want to go there as well – might have to put it on my bucket list ! Beautiful photos! I have been living in KL for 4 months, and still haven’t made it over to East Malaysia. Looks like a lot of fun. Looks like you enjoyed this travel so much. More to come for you next year. Kota Kinabalu is really so beautiful. I hope to get to visit the place soon. I’d also want to try to climb Mt. Kinabalu. Glad you enjoyed this trip. I love Sabah! I had the best new year’s eve in KK 3 years ago. People are so friendly and easy to start a conversation with..
did u go there through travel agent? planning to visit brunei and thinking of having travel agent instead. No, Aeron. I have a friend who lives in Brunei. Going through a travel agent might be a good option. I love it! The dishes would by my reasons. Thank you for sharing! That’s a lot of places in 5 days! I see that it’s a gourmet trip for you! Similarly, what makes holiday trips memorable are the friends you are with! I was reading your recent post and I saw this link, we planned to visit Brunei too when we went to Kota Kinabalu but we only have 3 days in Kota Kinabalu so we have to let it go. Reading your Brunei experience, parang natakot naman ko. lol. With regard to “show money”, I saw that in SG airport, immigration officer asked the Filipina to show her money, e kami yung next in line. Buti hindi ginawa sa min.